"From a professional standpoint, I referred many patients to John for his expertise in not only back pain, but numerous musculo-skeletal problems. He was always very professional and communicated with me via phone and written correspondence as far as his diagnosis and treatment plan. The patient feedback was uniformly positive." "I feel back to new! I had physical trouble walking into the office, and now I'm back to playing with my girls and playing sports. I was skeptical about chiropractic, and now I'm kicking myself that I didn't see someone for the first episode." "When I got up after sitting down for awhile, my lower back would freeze upon me. I was just living with it. Not knowing when my back would act up again. I had adjustments done by Dr. John, and my spasms happen very occasionally now. Chiropractic care helps a lot of things without surgery, or medicine." "Definitely noticeable improvement in posture. Apparently improved immune function, since I have stayed away from illness thus far this winter. Also improved sleep. The treatment is worth the investment." "Amazing difference!! No pain, great mobility compared to before. Very few headaches now. Try it, you'll like it." "I have much improved neck and shoulder movement and no lower back pain. I am not taking any medicine for muscle relaxing or pain. Dr. Zozzaro has taught me ways to stretch and strengthen my back, resulting in better posture and better sleeping. Don't wait until you are facing back surgery to try chiropractic care." 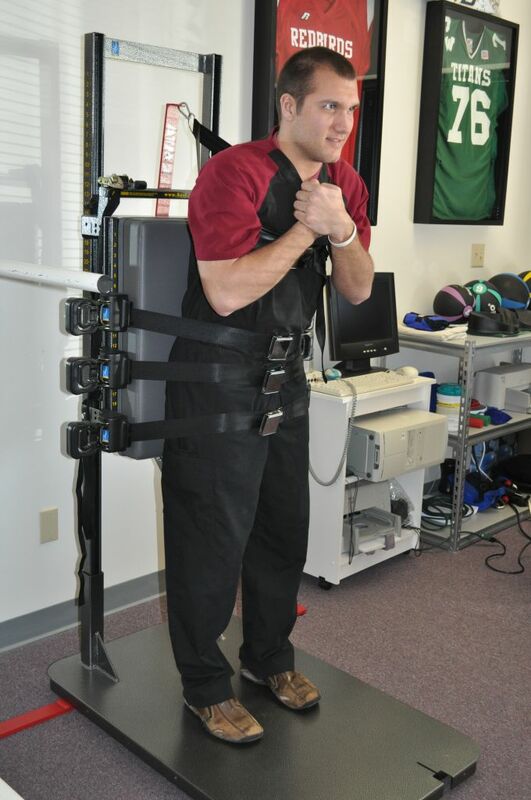 "I have been helped immensely with the pain in my lower back and legs. Go see a chiropractor as soon as possible, namely Dr. Zozzaro." "I experienced pain in my neck and back for about 5 years. I acquired much more flexibility and less pain in my back and neck after treatment with Dr. Zozzaro." "Chiropractic has helped me by making life easier and more pleasant without constant arthritis pain. Come to see Dr. Zozzaro!" "I had consistent pain in my lower back, wrists, and shoulders for fifteen years. I also had constant headaches and some numbness in my hands. Dr. Zozzaro tremendously improved my pain level and I no longer have numbness in my hands or lower back pain. I don't have headaches the way I used to either. Chiropractic works!" "I had upper back and neck pain which made me feel that I could not do a lot of things. I am moving much better and not walking as stiff in the upper body. I feel I can do more than I have in a long time. I should have seen a chiropractor sooner instead of putting up with the pain." "I had severe back and leg pain during pregnancy. I could hardly walk without a cane, even after having the baby. After receiving chiropractic care I am walking around great. I am so thankful God led me to a place where I would receive such compassionate and professional care. Definitely give chiropractic a try." "All of my problems have been helped by chiropractic. I lived with back and neck pain, numbness in my right arm, weakness in my legs, headaches, and appetite problems for two years. I can now do the things I want to do and live without pain." "I have been headache free since my first visit with Dr. Zozzaro. My back musculature feels much better and has helped me go back to a much more active lifestyle. It can't hurt to try chiropractic care a try. The benefits could change your overall quality of life." "I accidentally over lifted weights with the wrong technique causing me to have sharp back pain and I was unable to sleep. All of my pain is gone and I'm able to sleep again comfortably. I didn't realize how serious my back injury was until I saw Dr. Zozzaro." "Lower back pain has been a persistent problem over the past couple of years for me. I train regularly, and my treatment has made it easier to workout. I have had fewer headaches. Find a chiropractor to help get treatment to make your situation better." "My upper back was always aching and sore which made it difficult to concentrate and sit still in school. I was always stretching and icing my back but it never helped much. Chiropractic has stopped my back pain and I can now get through a day without worrying about my back. If you have pain like I did you should look into chiropractic." "I've had back and shoulder pain each time I've been pregnant. The pain was so great that I would try to sleep to feel better. I was surprised how different I felt after seeing Dr. Zozzaro. My pain greatly diminished and some days I had no pain at all. I was able to resume my daily activities without sleeping all the time. I definitely suggest trying chiropractic care. I wish that I would have with my first child!" "I started having severe lower back pain for a couple of weeks. Now after receiving treatment from Dr. Zozzaro I am pain free. Schedule an appointment with Dr. Zozzaro because he can help the pain go away." "I had a strained back and I couldn't play with my little brother or do a lot of activities throughout the day. I received treatment over three months and I don't have constant back pain anymore. If you are in pain, seek chiropractic right away or your symptoms will only become worse." "I had major neck and back pain with a lot of tightness. I also had really bad headaches. I got a lot of relief from Dr. Zozzaro. Go see Dr. Zozzaro because if he could help me then God knows he can help you feel better too." "I had a lot of neck pain and headaches before seeing Dr. Zozzaro. My headaches existed for about a year, and living with a constant headache everyday was agonizing. My life is much more enjoyable now that I have no more pain. Definitely consider chiropractic care. My life has changed because I no longer live with unnecessary pain." "I've had back pain ever since I played high school football. I experienced pain for weeks at a time. Dr. Zozzaro's treatment and exercise instruction helped me to correct my spine. Simply give chiropractic one month. Take Dr. Zozzaro's advice to heart and do it. Fear of the unknown never healed back pain." "I love to play golf. I started having problems turning when I would swing a golf club along with stiffness in my back. After treatment with Dr. Zozzaro, I feel much more limber. Get checked out to see the condition of your spine!" "I experienced shooting pains in my back and I couldn't sit down or do work. I was almost unable to move or function without pain. Now my pains are gone and I am back to my normal daily activities. Be patient and do the exercises, they help." "I couldn't sleep for two days after I was rear-ended by another vehicle. I had neck and back pain. I feel relaxed and pain free now. Come see Dr. Zozzaro if you have been involved in an auto accident." "I had severe arm, shoulder, and neck pain from hours of transcription work. I tried adjusting my table and chair to make the pain better, but no luck. This was slowing down my work, so I came to Dr. Zozzaro. He was a great help because my pain is now virtually non-existent. Try chiropractic before contemplating surgery." "I used to wake up every day with an aching back and pains down the backs of my legs. My pain became more chronic over the last ten months. Chiropractic has decreased my pain, which is rarely a problem unless I forget to do my daily exercises Dr. Zozzaro recommended. Chiropractic is much better for the body and is more effective than other treatments like medication." "One day I fell down and landed on my tailbone. I couldn't sleep for seven months and had trouble walking up and down stairs. It has been wonderful to work again with minor discomfort. Go see Dr. Zozzaro because chiropractic care works." "I have experienced lower back pain for twenty-five years, mostly a nagging dull pain. My pain is not as frequent after seeing Dr. Zozzaro. If you have dull pain, see a chiropractor first." "For as long as I can remember I have had frequent headaches. Since I had children, the headaches have gotten increasingly more frequent. I couldn't even put my hair back in a ponytail without pain. Chiropractic has decreased the frequency of headaches I have, and I noticed much less shoulder and neck tension. Try chiropractic care for headaches!" "I had pain in my neck, shoulders, and right hip on and off for many years. It started to disturb my sleep, so Dr. Zozzaro provided my treatment. I have an improved quality of life now. Go see Dr. Zozzaro!" "I am an active youth pastor where I work with young children. I developed significant lower back pain that got progressively worse. I couldn't play with the children because it hurt so much to be active. I am completely free of pain because of my treatment with Dr. Zozzaro. Come and see Dr. Zozzaro. He will make an honest evaluation of your situation, and provide treatment to make you feel better!" "I was involved in an accident where I broke my leg and back. I was in pain everyday and my broken leg healed shorter than the other one. After treatment I feel much better because I don't hurt everyday. I highly recommend Dr. Zozzaro."